Construction disputes - to mediate or adjudicate? Home Guides & Reviews Construction disputes – to mediate or adjudicate? He looks at the impact – and possibly unforeseen consequences – of the introduction of statutory adjudication in May 1998 and its evolution into the tribunal of choice for settling increasingly large and complex construction disputes. However, he argues, there is a strong case for mediation to have a much larger role in the resolution of construction disputes. 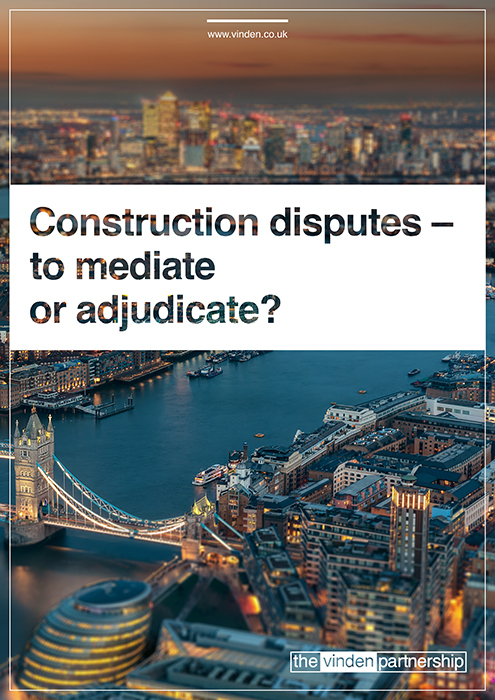 But while all UK construction contracts have to provide for adjudication, and many provide for arbitration as the final means of settling a dispute, there is often no compelling voice directing parties to mediation. Peter offers a “hitchhiker’s guide to mediation“, targeted at users of the system and based on his own extensive experiences. He looks at the reasons to consider mediation against the “casino” of adjudication, arbitration or litigation. There is also a detailed overview of the mediation process and the benefits of two sides reaching a settlement.